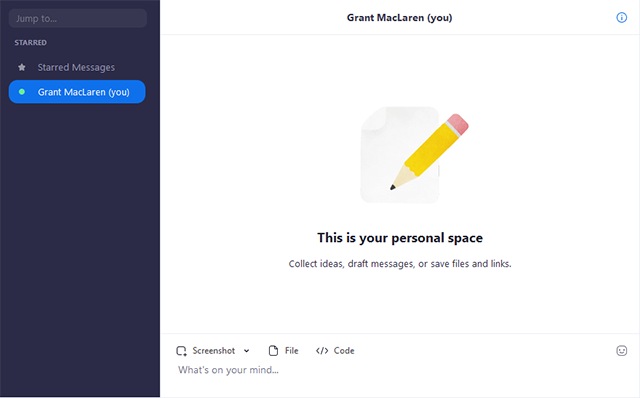 You have access to a personal chat space where you can write message, take screenshots, and save files that are only visible to you. Under the STARRED section, click your name. Tap the star icon in the top-left corner. 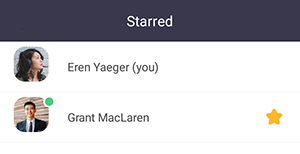 Tap your name (the first contact in the Starred list). You have access to the following Zoom chat features. Make sure to press Enter to send content to yourself and save it to your personal space. Capture a portion of your screen. Save a code snippet (desktop client only). Save emoticons or animated GIFs.